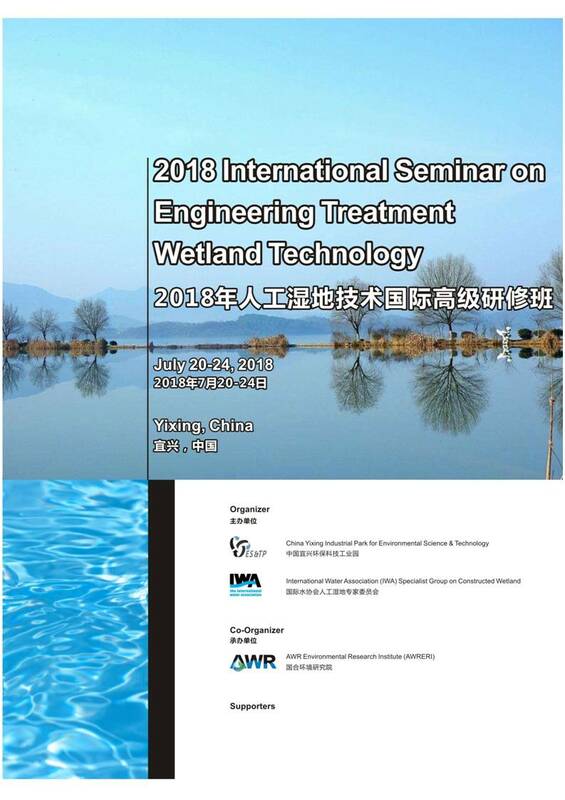 An International Seminar on Engineered Treatment Wetlands Technology will be held on 20-24 July 2018 in Yixing, China to promote the use of constructed wetlands in China. 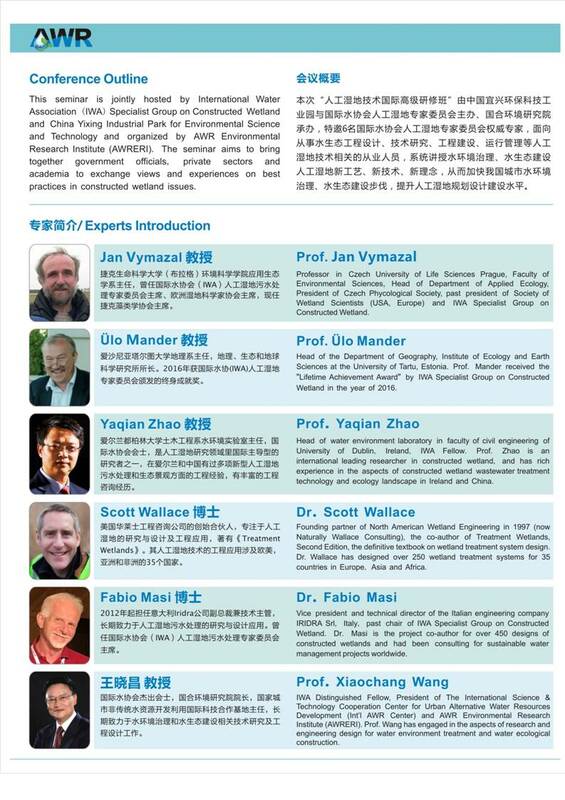 Six world-leading experts in constructed wetlands technologies will deliver keynote presentations on the theory and applications of the technology. 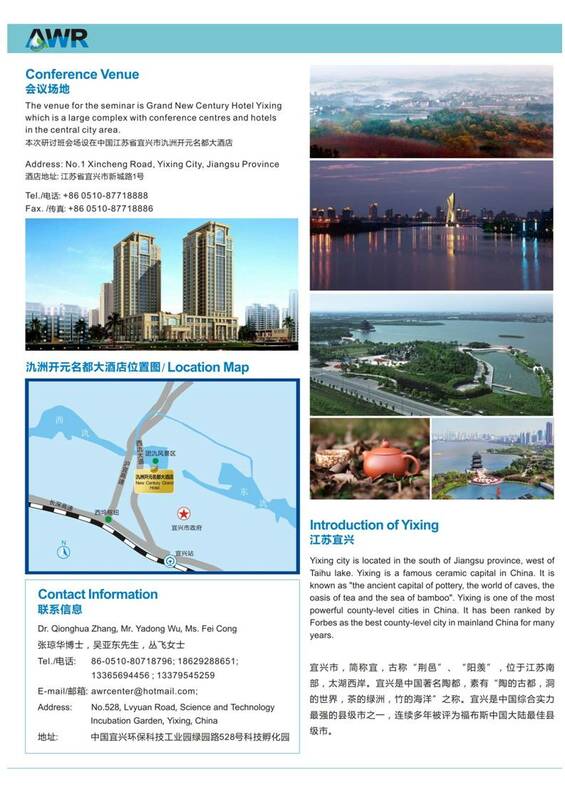 This seminar is jointly hosted by International Water Association (IWA) Specialist Group on Constructed Wetlands and China Yixing Industrial Park for Environmental Science and Technology and organized by AWR Environmental Research Institute (AWRERI). The event aims to bring together government officials, private sectors and academia to exchange views and experiences on best practices in constructed wetland issues. More detailed information about the seminar will be updated periodically on the AWR website at www.awrcenter.net.